Along with my target watch article every week, make sure to check out our DK vs FD salary tool. It’s a great way to analyze which players are over valued and undervalued on each site. Josh Gordon (16 Targets) – One of the most controversial plays of the week was Gordon, who I faded on FanDuel completely and played sparingly on DraftKings. I admit, I was wrong, and was lucky he didn’t score a TD otherwise fading him would have been a disaster. The whole “pitch count” talk ended up being total crap, Gordon played 54 out of 78 snaps which was more than any other receiver on the team. Gordon benefited from Brian Hoyer throwing 40 times, but against a good Bills run D next week I expect 30+ throws from Hoyer. He’s definitely in play for the rest of the year as one of the top receivers every week. A.J. Green (16 Targets) – I guess the worries about AJ Green’s health have been put to rest. Andy Dalton threw only 35 times which means Green was over 50% of the Bengals passing attack. It was a great game from Green, but it also says something about Houston’s D, they continue to get torched by #1 receivers. Julio Jones (13 Targets) – He only caught 5 of those targets but did score a TD and had an overall solid performance for his price tag. He was going against Joe Haden all day so it makes sense that he had a tough game, but I like that the targets were there. That being said, he’s going against Patrick Peterson next week, so it’s not going to get easier. Emmanuel Sanders/Demaryius Thomas (13 Targets) – One thing you can count on week after week are Emmanuel Sanders and Demaryius Thomas drawing double digit targets. Thomas had the better fantasy day of the two with 3 TDs, but Sanders had more catches (9) and yards (125). Against the Chiefs next week, these two are certainly in play for both GPPs and cash. Anquan Boldin (12 Targets) – I wasn’t surprised to see Boldin have such a good day. Aside from the Redskins #1 corner, their secondary is horrible. Boldin continues to be Kaepernicks go-to receiver and he’s the highest targeted receiver on the 49ers week after week. 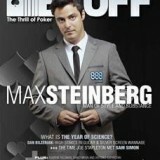 He’s consistent enough to use in cash games. Odell Beckham Jr. (11 Targets) – Everything about this game for “ODB” was amazing. He had an absolutely jaw-dropping one handed catch in the 1st half that will probably stand as the best play of the year. He caught 2 TDs and racked up 100+ yards receiving once again. What I like most about his performance is that he was shadowed by the Cowboys best corner and was clearly a focus of the Cowboys D, and he still just wrecked them. He has a ridiculously soft matchup vs the Jaguars next week, I wouldn’t be surprised if his ownership rises above 50% even though his price has jumped so much on FanDuel. On DraftKings, he’s a complete must-play in cash games. Julian Edelman (15 Targets) – The Patriots really seem to use extreme gameplans based on their opponent. Last week against the Colts, they barely threw and rode Jonas Gray to a dominating win. Then, in a blowout against a tough Lions run D, Brady throws 53 times (which, by the way, didn’t surprise us. New England’s point pass share in our sportsbook projections was 2nd highest only to the Colts). Edelman is clearly a big part of the Patriots pass game when they’re throwing, but as a small target he’s not going to score many TDs. But as long as you can count on the Patriots throwing, you can count on Edelman on DraftKings and other ppr scoring formarts. Brandon Lafell (12 Targets) – The Lions seemed to focus a lot on Gronk in this game, which left players like Lafell and Edelman open and Brady wasn’t shy about going to them. Lafell is a bigger receiver and a much better redzone threat than Edelman, so I like him a lot more than Edelman on half ppr sites like FanDuel. Charles Johnson (11 Targets) – As much as this seems like a fluke, it’s not. Johnson somehow has overtaken Cordarrelle Patterson as the #1 on this team, and played all but 2 snaps in the game. He had a solid stat line of 3/52 and 1 TD. The Vikings pass game is awful but they face Carolina D that has been terrible in pass coverage this year, I think he’s very much in play next week, although I wish his price-tag of $6,300 on FanDuel was a little bit lower. Jarvis Landry (11 Targets) – Because of Landrys big day, I was briefly in 1st in FanDuel’s Sunday Million at the end of Sunday afternoon. Sadly a high scoring Giants Cowboys game put an end to that though. It’s becoming more and more clear that Landry is now the #1 receiver on this team, once again out-targeting Mike Wallace 11 to 5. And Tannehill only threw 36 times. His price has jumped, but he does have a great matchup against the Jets. He’s definitely a GPP play and a borderline cash play next week. Rashad Jennings (10 Targets) – Rarely do you see a RB on this list, but Jennings made it by drawing 10 targets. When you have a RB so heavily involved in the pass game, it raises his floor significantly. Case in point: Jennings didn’t even run for 60 yards but still scored 20 points on DraftKings because of his 8 receptions. Jennings is a great cash play going forward, and should be great against a soft Jaguars D next week. Keenan Allen (9 Targets) – For 3 straight weeks I’ve been writing about how many targets Allen has been getting in this article, and it finally paid off. With a great matchup against the Rams who have been terrible against #2 receivers, Allen caught 6 balls for 104 yards and a TD. I used him a lot this weekend, and was rewarded big time. Delanie Walker (9 Targets) – Walker was the best TE play of the week with 5 catches for 155 yards. He’s one of Mettenberger’s favorite targets in the pass game so he should always be in play in your GPP lineups as long as the matchup is ok.
Andre Johnson (12 Targets) – The targets are there for Johnson week after week, but the production isn’t. I don’t know if it’s poor QB play, something wrong with Johnson, or both, but I don’t think I’ll be playing him the rest of the year. 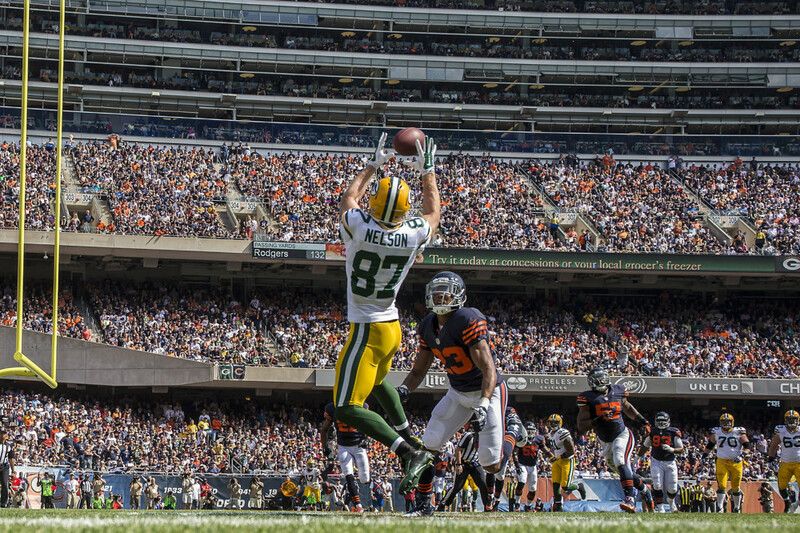 Jordy Nelson (12 Targets) – Jordy had a fine day, but just no TDs. There’s absolutely nothing to worry about here. Calvin Johnson (10 Targets) – Johnson couldn’t get anything going for the 2nd straight week, but this was the 2nd straight tough secondary he’s faced. The Bears are one of the worst secondaries in football, so I think he bounces back this weekend. Rob Gronkowski (10 Targets) – The Lions are a good D and they double teamed Gronk all day, which is why he had a bad game but Brady still had a lot of success throwing to his other targets. The over/under in the Packers vs Patriots game next week is 60, I’m not worried at all.